An interview with Alicia Jrapko, co-founder of the International Committee to Free the Cuban Five, on how persistence pays in uphill political struggles. In the din of global media coverage of the normalization of U.S.-Cuban diplomacy, little was said of one of the core issues for Cuba in negotiations leading up to the public unveiling of the new policy: the agreement of the United States to return a group of prisoners known in Cuba as “Los Cinco.” The Cuban Five, as they are known in the United States, were sent to south Florida in the 1990s to gather intelligence on exile groups that had carried out bombings in Cuba and were plotting future terrorist attacks. The Cuban government duly shared information the Five had gathered with the FBI, urging the United States to act on its public commitment to fight terrorism. 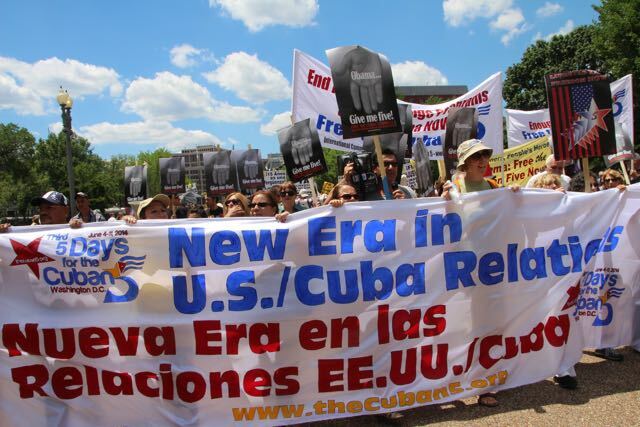 But instead of arresting the exile conspirators, Cuban agents were arrested and ultimately convicted in a Miami courtroom on multiple federal charges. Sentencing was harsh: the Cuban Five were sent to five separate prisons across the United States for a total four life sentences plus 77 years without the possibility of communicating with one another. Visits from family members were largely prohibited. Despite egregious errors in the case and the hypocrisy of U.S. law enforcement in prosecuting their Cuban counterparts in a war against terrorism, the story of the Five received almost no coverage in the English-language press. Building a global movement to free the Cuban Five, as was done by two sometimes-clashing groups, the National Committee to Free the Cuban Five and the International Committee to Free the Cuban Five, involved an unprecedented suite of organizing strategies. In this interview excerpt, Alicia Jrapko, co-founder with Bill Hackwell of the International Committee to Free Cuban Five, offers her insights on sustaining activism on urgent issues that may remain stubbornly on the sidelines of public conscience. Heather Williams: This case became the focus of yours and Bill’s lives for many years. What in particular was compelling about it for you? Alicia Jrapko: I am from Argentina originally, and when I started working in solidarity with Cuba with Pastors for Peace, I realized how much of what I heard on the news in the United States about Cuba was untrue. I will say that as a Latin American I embraced solidarity with Cuba because I always knew that Cuba was a place where a lot of wonderful things were happening. It’s related to Argentina—I left Argentina under dictatorship just because my generation wanted the same thing as [what people had wanted] in Cuba. A lot of my friends, students of that time, died fighting for the same things as Cubans were fighting for. In the United States there was very little mainstream media reporting of this case, and what there was usually led with the term “Cuban spies.” How did you confront people’s skepticism or simple lack of familiarity with the case? It was extremely hard to get any media coverage at the beginning. In fact, the U.S. media are still calling them spies. So we began with the progressive movement, and people who were already supportive of Cuba. The same thing happened in other countries. In the United States, it was really hard because there was no way to get to the media. Nobody was listening to us. At one point around 2006 we realized we were preaching to the choir, that everybody coming to events already knew about the Cuban Five. So we changed strategy, looking for other people to join us. 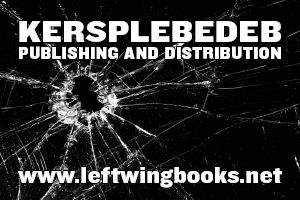 We reached out to writers, actors, intellectuals, leaders of churches and unions. Gradually we started getting a lot of support. At one point—in fact, this year in June, we had the third Five Days for the Cuban Five in Washington—we had people coming from 31 countries, including parliamentarians from Latin America and Europe, intellectuals like Ignacio Ramonet and Fernando Morais, and also people from the United States, like Lawrence Wilkerson who was the Chief of Staff of Colin Powell. We had Professor William Leogrande, from American University who just wrote a book about Cuba. There were people from churches too, like Joan Brown Campbell, the former General Secretary of the U.S. Council of Churches who always supported us. Just recently the current General Secretary of the Council of Churches also joined with us and representatives from organized labor. As the case got better known we were able to organize demonstrations in front of the White House and started lobbying. We visited Congresspeople and Senators and were able to convey to them why we were interested in the case. HW: Can you tell me about some of the points of greatest hope and greatest despair while working on this case? AJ: I honestly never lost hope, although I knew this was going to be really difficult. But unlike many political prisoners, the Cuban Five had the support of the entire Cuban people, the government, and their families. The families of the five—mothers, fathers, wives—were traveling all over the world to talk about the case, except in the United States because they couldn’t come here to speak publicly. That was very inspiring. The period of the Bush administration was really hard for us; nobody was listening and the case was for the most part unknown. When Obama came to power, we had hope. But in the last couple of years, a lot of things were happening in Latin America, and we felt President Obama might make the right decision. We never knew when all of the prisoners would be released, but we felt the day was getting closer. HW: On that note, after the Eleventh Circuit Court of Appeals reversal of the decision of the panel of three, and after the refusal of the U.S. Supreme Court to hear the case, did you feel that impacted the movement for better or worse? Did it kill hope or did it reaffirm people’s commitment to the case? AJ: Leonard Weinglass, one of the great lawyers who worked on this case, made it clear from day one that this was a political struggle. Many people still believed in the justice system, but we always kept in mind what Leonard said. So when the Supreme Court refused to hear the case, even though you’d never had so many people supporting [the appeal], we thought, gee, it would be great if we had won in the courts, but we never had any hope in the legal route. We always thought this was a political struggle. That’s why we moved away from any legal route and kept fighting at the political level. We always said from the very beginning, “Once the American people understand who the Cuban Five are, this is going to change.” And I don’t know that we did everything that we could, but I know we did our best, because it was hard to get to the media, and to get through to people. But I think it was a combination of things. It was the work done by the Cuban people and the Cuban government, the work done by the family of the Five, the work done by us in the United States, the work that was done from all over the world, the work done by people with influence, including Congresspeople and Senators, unions, religious leaders, even presidents of other countries. And then, at one point, everything combined made it happened. HW: What advice do you have for others fighting long, uphill battles? AJ: Never give up. Never give up. That’s the best advice. Through the years, I’ve learned to be very persistent. When somebody says no, knock on the door again, and again and again and again. And finally, they say yes. You have keep fighting and not lose hope, and know that even if people don’t think like you, if they agree with you on this particular case, you have to work with them. I think that it’s worth being part of such a long struggle and seeing victory at the end. This victory was the result of a lot of different things at work: the Cuban people, the Cuban government and the families. They were the ones who were fighting until the end. There are so many other cases that people are fighting on that are very difficult. But we should never discount the things that we can do. When we started working on this, we were preaching to the choir, and I think that changed and it made the difference for us in our work here in the United States. AJ: Well, I see us continuing the work we have been doing with Cuba. I never saw the work we did with the Cuban Five as being separated from the rest of the solidarity work we were doing. I always saw Cubans as victims of a bad policy. The Cuban Five were convicted because they were Cubans from Cuba. They never would have been jailed if they weren’t. We still need to fight the blockade and always being mindful of Cuba’s right to sovereignty. And I think we’ll keep fighting on that line. Our group, which is a dynamic and wonderful group, doesn’t want to disband. We’re already planning the next things we want to do. But we’ll continue our solidarity with Cuba. Heather Williams is a professor of politics and environmental analysis at Pomona College and has written on social movements, the environment, labor and migration.